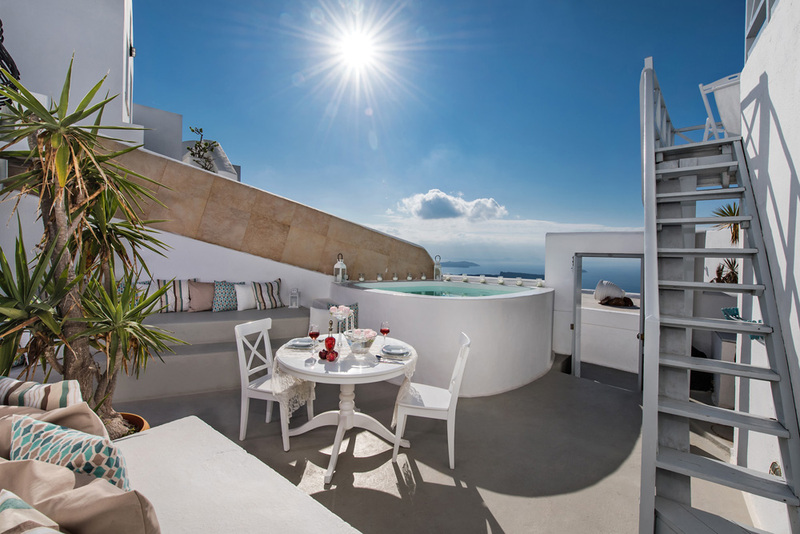 Stepping through the doors of Saint George Exclusive complex into the rays of the Aegean sun and the expansive veranda on the Santorini caldera�s rim. 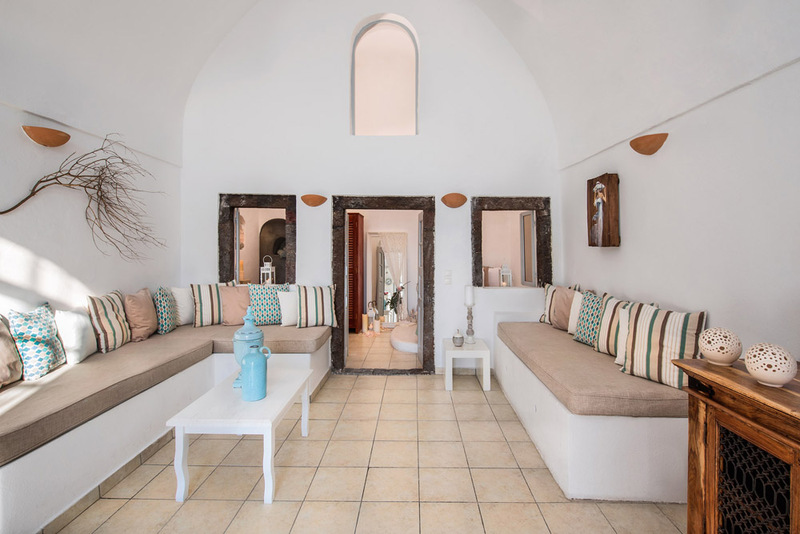 You enter into a world of refinement where the neo-classical details of this Cyclades complex redefine indulgence and comfort. 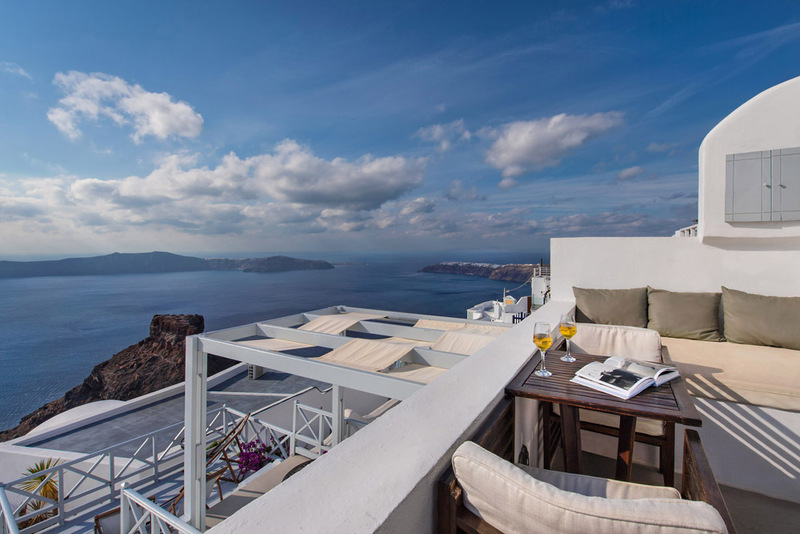 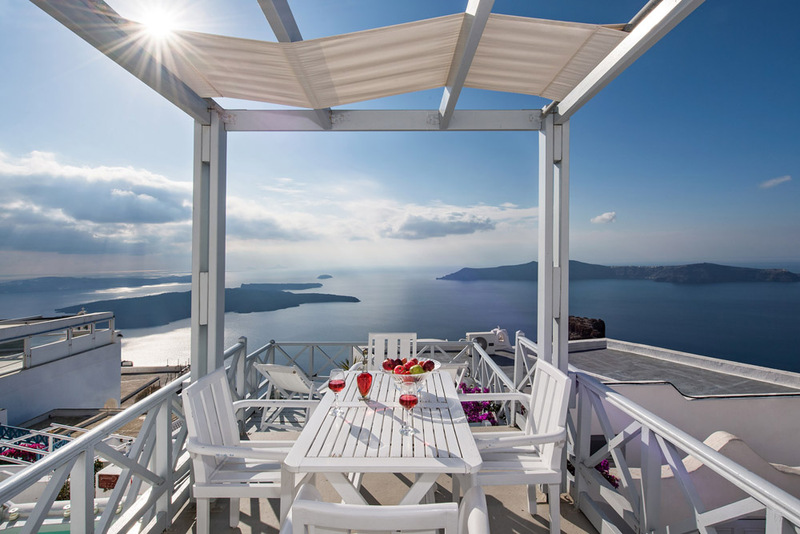 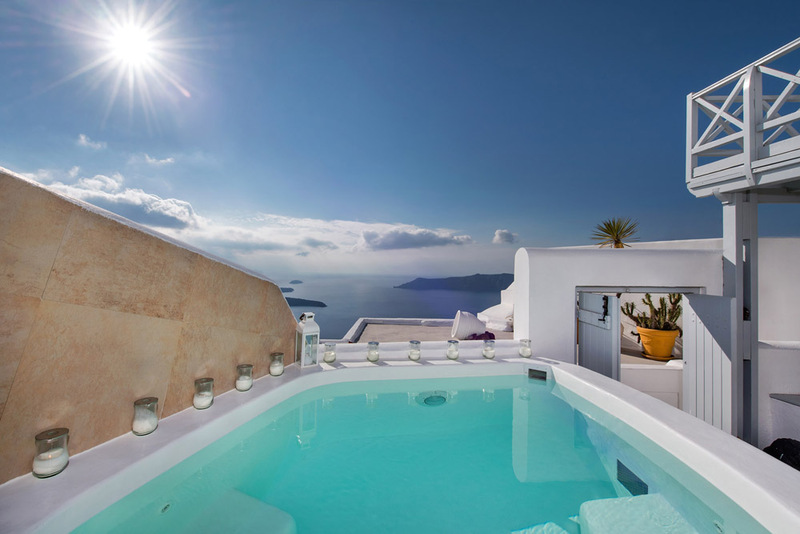 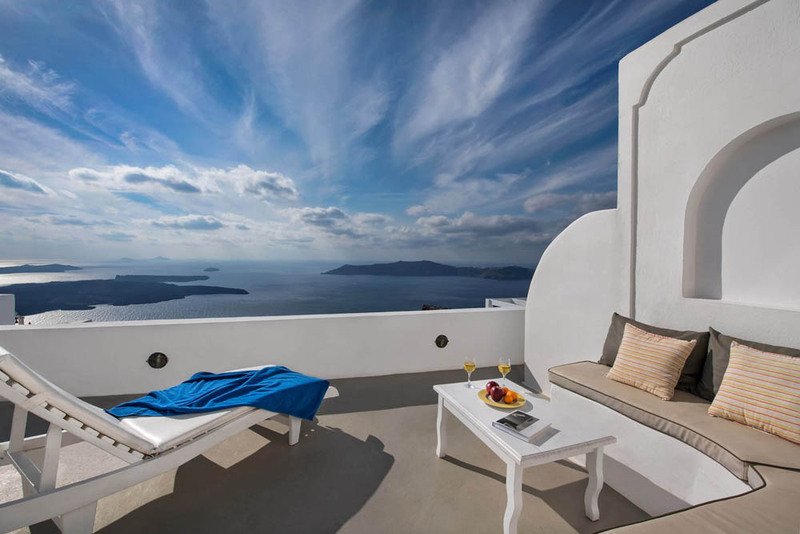 Breathtaking panoramic views of the mysterious caldera, the sleeping volcano, and the endless Aegean sea. 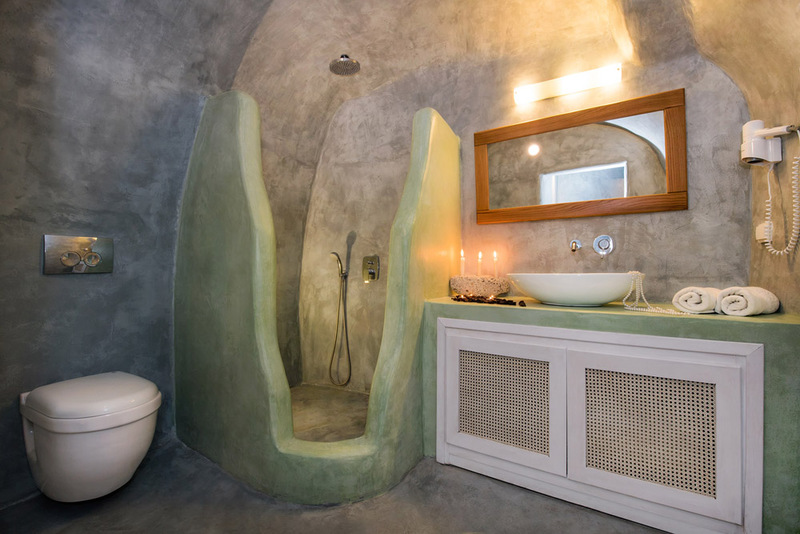 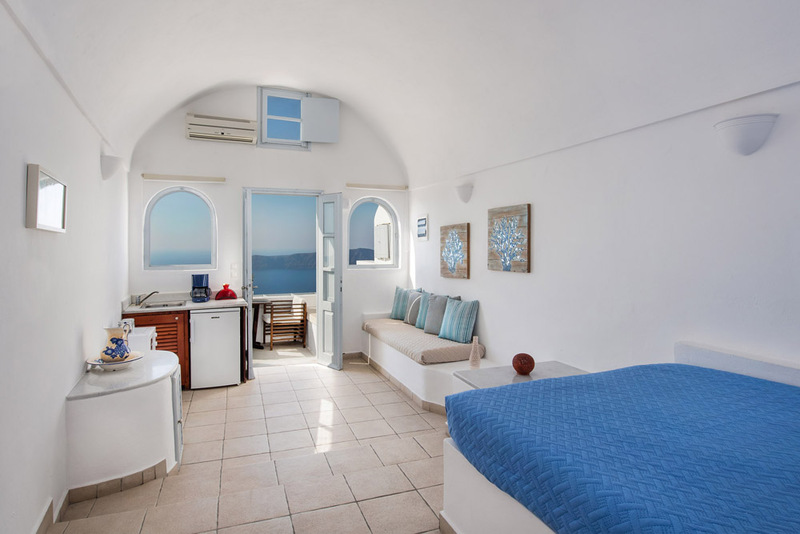 Saint George Exclusive named after the homonym orthodox church positioned on the edge of the complex is a new suggestion for a unique experience of Santorini�s Dream. 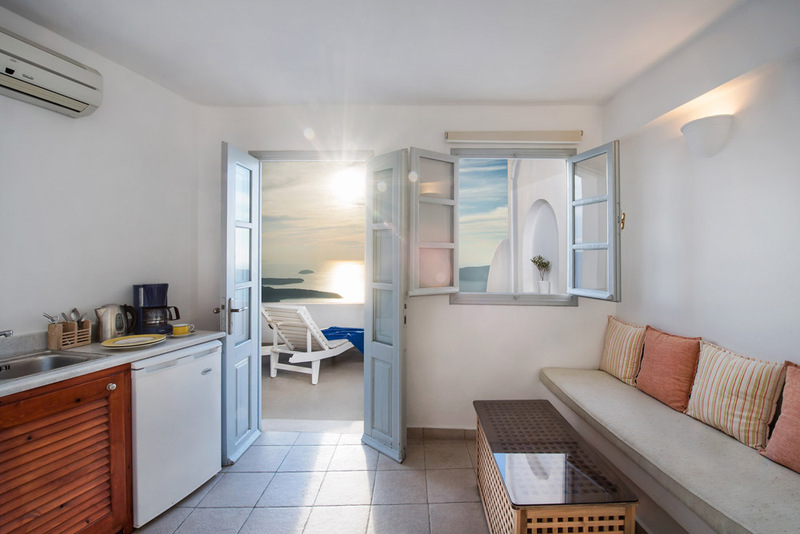 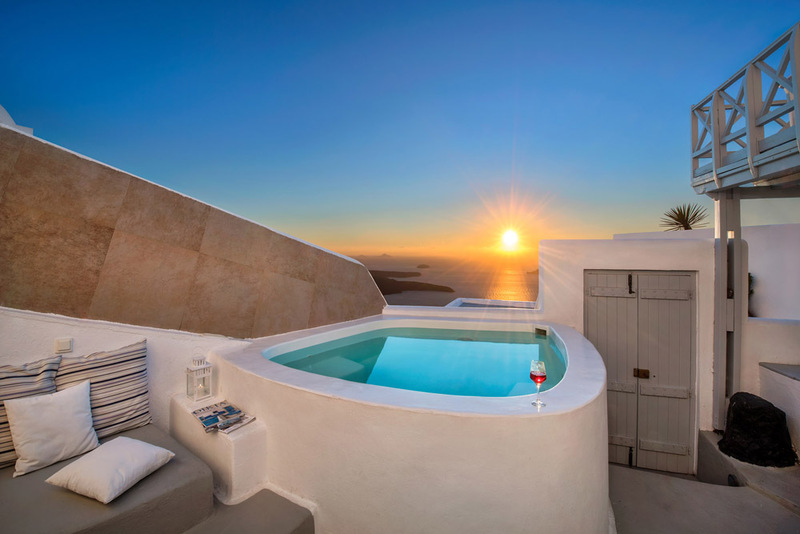 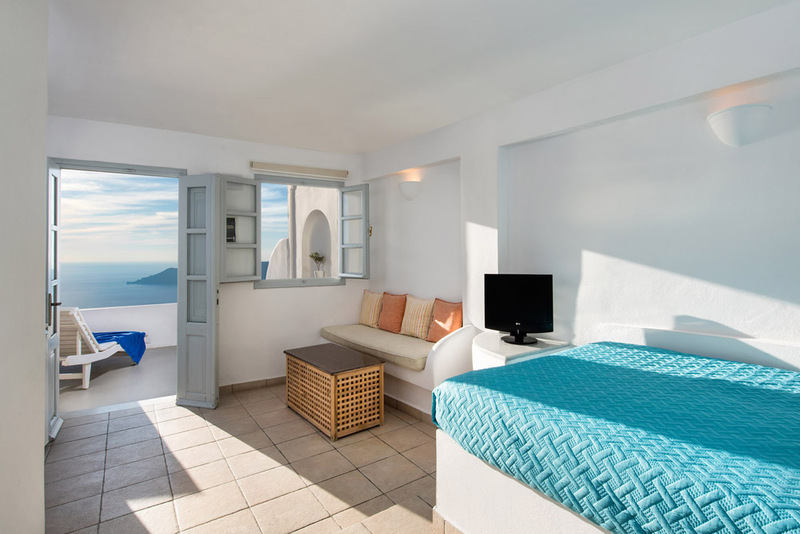 Come experience living in a typical Cycladic villa at Imerovigli village and enjoy the most breathtaking sunsets on earth, right from your own private balcony and terrace. 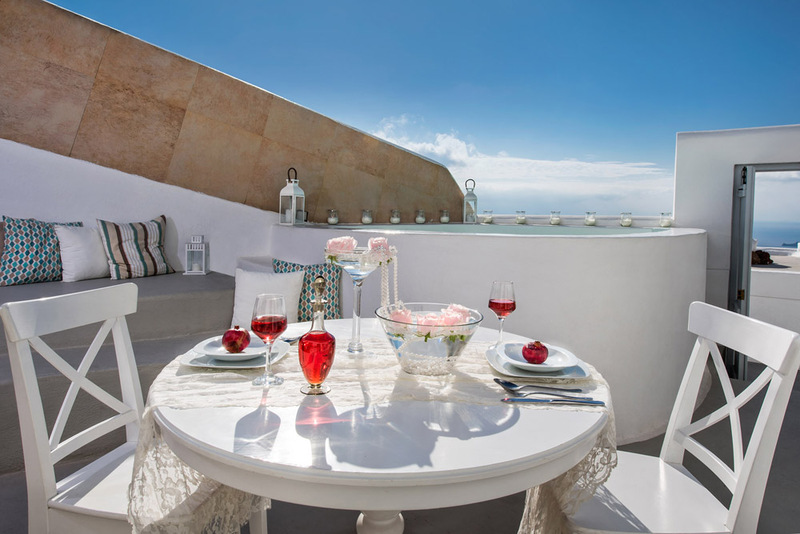 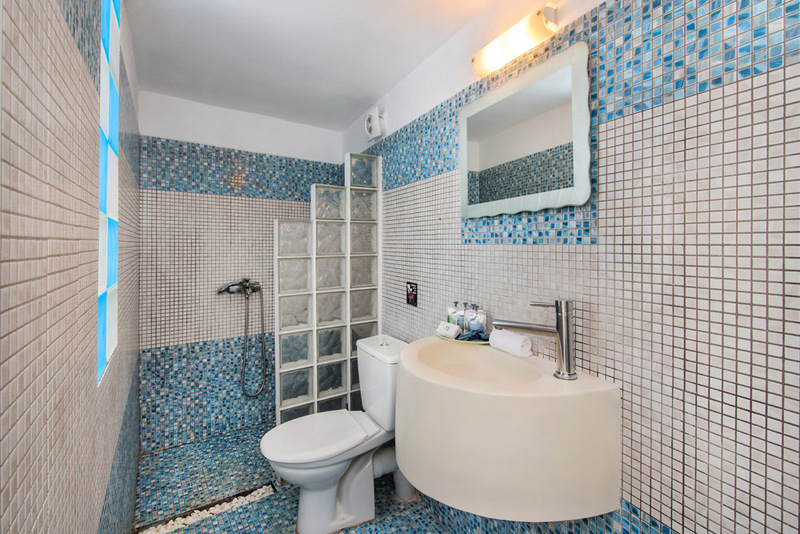 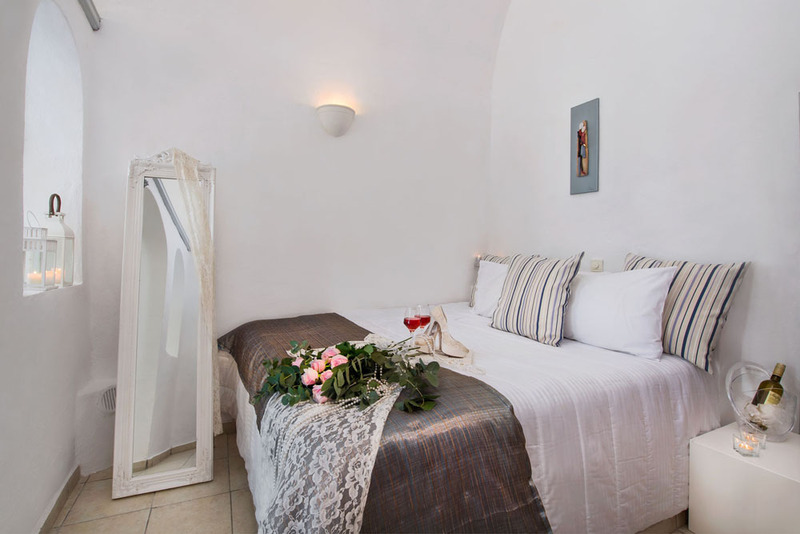 Relax on your comfortable villa�s balcony, some featuring your very own private jacuzzi for the ultimate in romance, with our extraordinary service and amenities designed to spoil you.